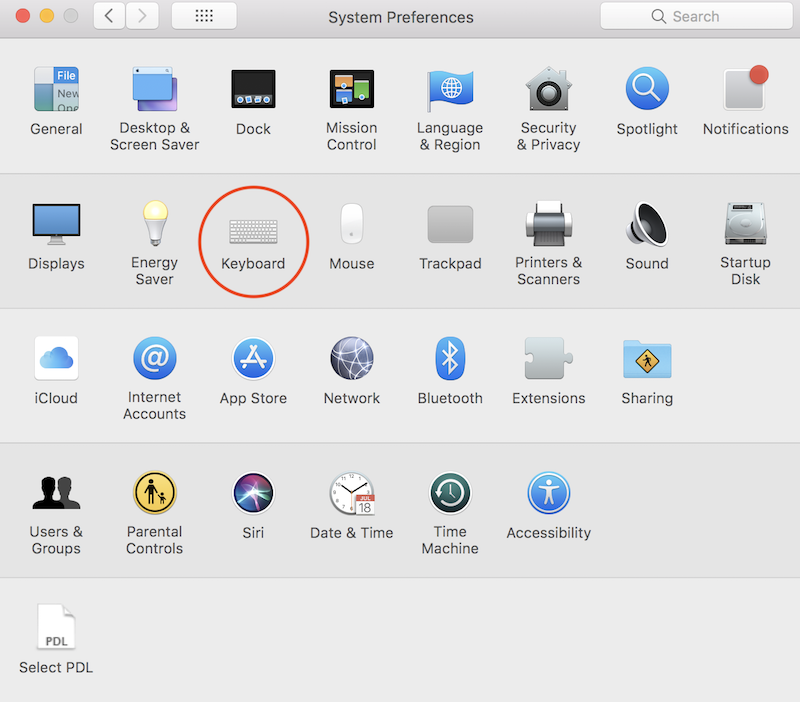 Good news, Mac OS allows you to do that with any of your apps including Station! 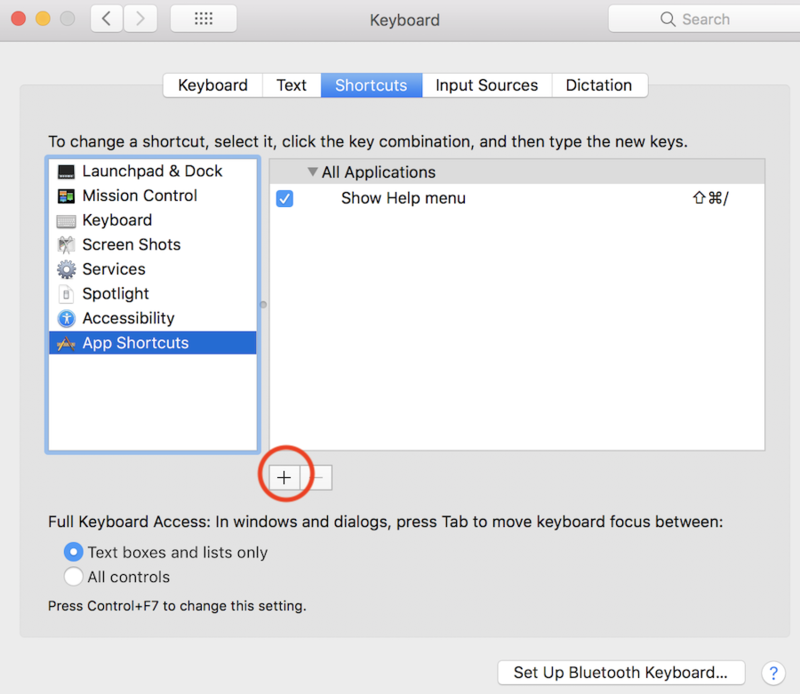 Let's say you'd like to change the keyboard shortcut for the Quick Switch (originally "CMD+T" on Mac, "Ctrl+T" on Windows). 3. Click on "App Shortcuts"
6. 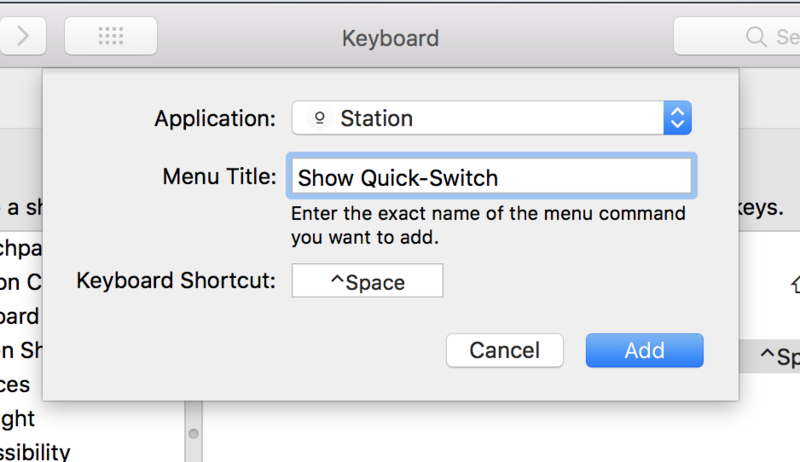 Simply enter the name of the exact functionality you would like to change (here "Show Quick-Switch" as worded on Station menu) and select the keyboard shortcut you want to use.